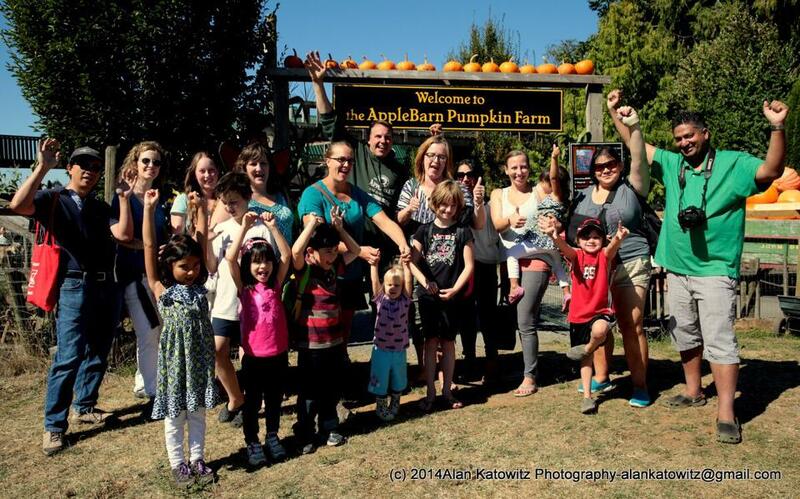 If you haven’t had the chance to visit Applebarn Pumpkin Farm, have you wondered if you should drive out for a visit? 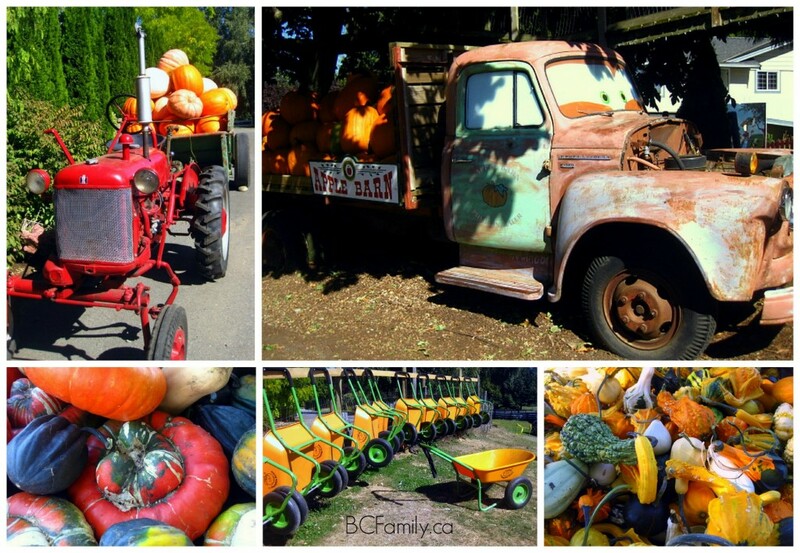 On a beautiful September day, with clear blue skies, my family and I recently joined the YVR Bloggers trip to AppleBarn Pumpkin Farm. It was a perfect day to venture out into the Fraser Valley and visit Abbotsford. At the farm we were met by Loren (see above photo; bottom left), who owns and runs the farm with his wife Corinne. He has lived there since he was one years old, took the farm over from his parents (who founded it) and has taken an active role in transforming the farm into its current setup. Over the years the farm has featured raspberries, poultry, gooseberries, currants and apples. In 1989 Loren traveled to the Netherlands to learn how to grow dwarf apple trees – a centuries old tradition in Europe. Dwarf trees can produce fruit within two years, unlike other types of apple trees that produce apples after ten years. John Loudon wrote in the early 19th century that Dutch farmers grew dwarf fruit trees in the shape of saucers – three feet high and ten feet in diameter. Others were in the form of a bowl or vase. As we walked through the gates, we passed a large inflated jumping pillow and playground surrounded by a zip line extending from over the Bunny Town area to a large slide. Children jumped happily on the large pillow as lamas looked on. In the Bunny Town area next to the petting farm, we saw many adorable bunnies before we boarded the hay ride for a guided tour of the orchard area. You can walk out into the orchards, pumpkins and corn area to pick produce but it is fun to take a tour on the hay ride. The hay ride stoppedin the Fuji apple area, right next to the pumpkin patch. My five year olds enjoyed finding and picking apples that were perfectly ripe, unblemished and tasted sweet and delicious. 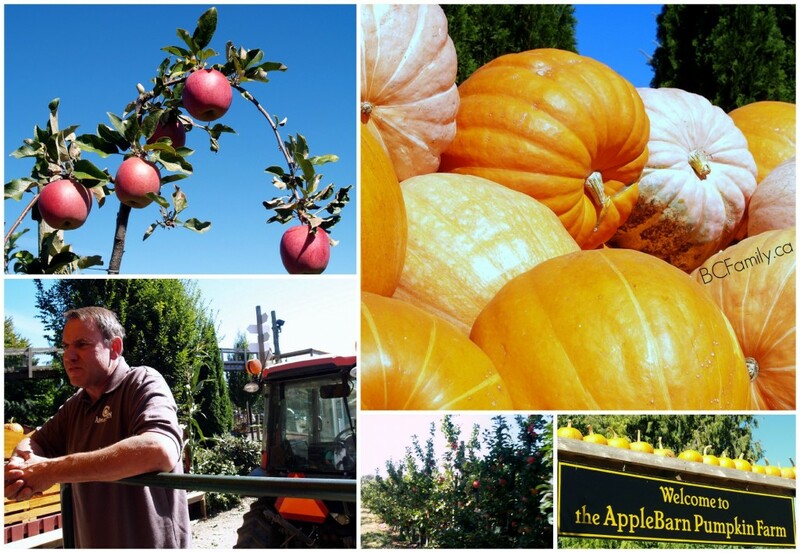 There are currently two apples and pumpkins available for U-Pick. Other people on the ride picked ornamental corn which you could use for decorations in the autumn. After the hay ride, we walked down to the corn maze where there are two mazes – a shorter route and a longer one. The latter one takes about 30 minutes to complete. 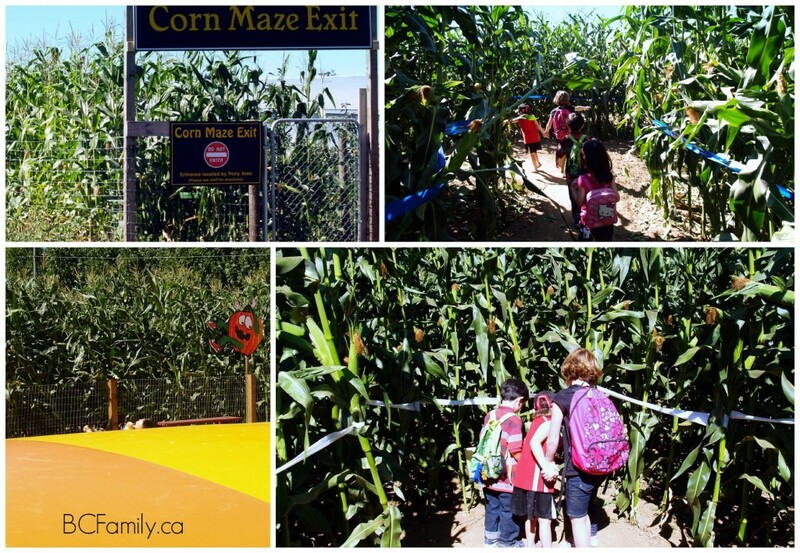 The children with us were invited to complete the shorter maze, which is appropriate for younger children. A notice board at the entrance to the maze had different colour patterns listed. If the children could find all of the chalk colour stations, stamping a colour on each finger, they could come back, match the pattern and complete an instruction. The children ran through the maze with eager excitement looking for the colour stations. 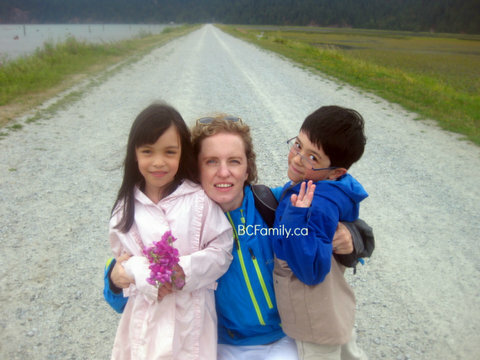 After my children emerged, they enjoyed jumping on a large pillow next to the entrance. 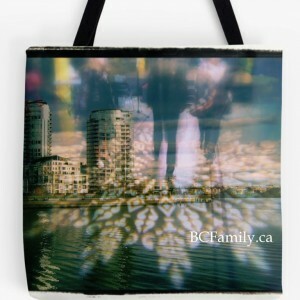 It was the first time they had ever had this type of experience. Next to the corn maze entrance there is a range where you can put corn and pumpkins in a canon and shoot them into the range. (This attraction is open on weekends.) One of my children found the noise to be too loud so we rushed off to see the Country Store and try the apple cider slushie, which was delicious. 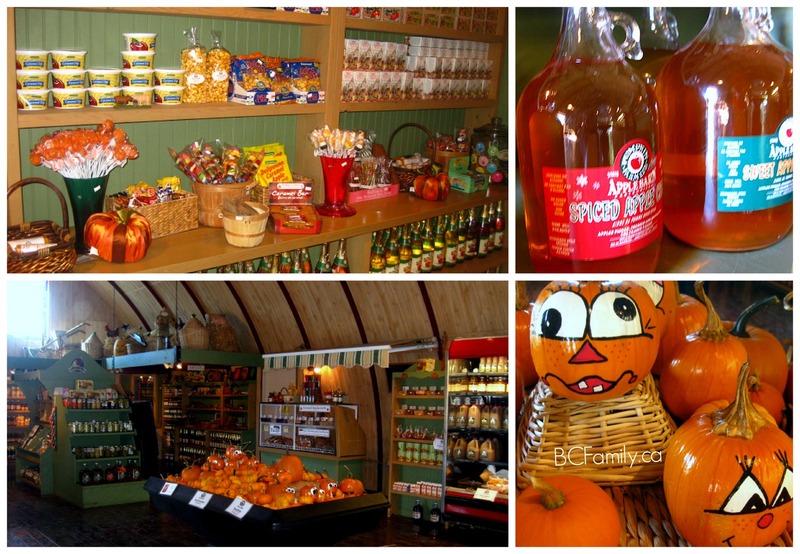 The store stocks produce including apples, vegetables and large containers of Applebarn cider. In the back corner of the store you can see a large bee hive behind glass where hundreds of bees are busy at work. Apple Cider: 100% natural Applebarn Farm Cider is available for sale in one galon containers at local Safeway stores. Getting there: Applebarn Farm is located near Highway 1 at exit 87, driving towards Clearbook Road South. Once you come off of the highway there is a short ramp that leads to a roundabout.